You can see from the image below that Takeme2 has a very Open Plan floor plan which measures 18m x 8m. 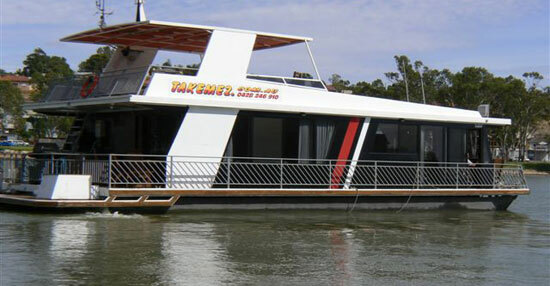 With easy access for up to 2 wheelchairs, you can take advantage of the entire boat or try your hand at driving. All you need is a current driver's licence. The outdoor spa is ideal for relaxing on your houseboat holiday. 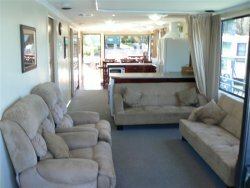 Enjoy the beautiful Murray River and go wherever you like. Spacious Lounge Room for your relaxing pleasure.